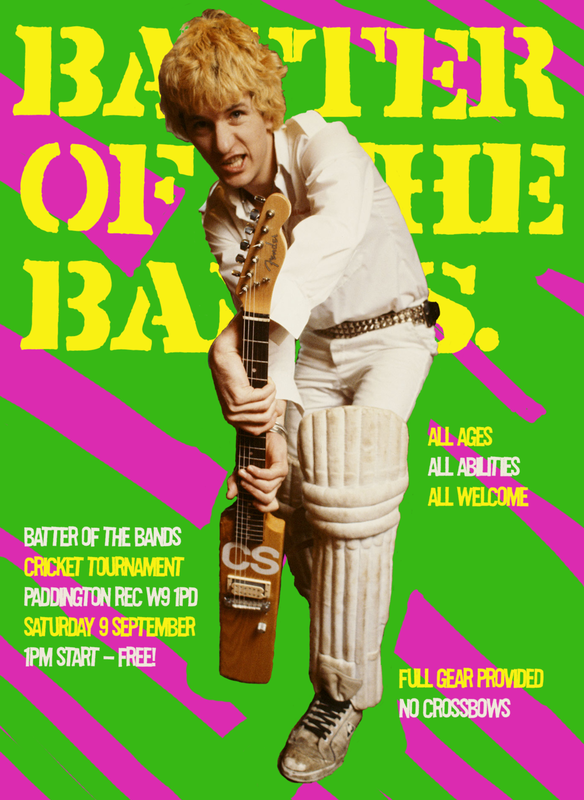 Next Saturday (at 1pm) it's Batter of the Bands at Paddington Recreation Ground. It'll be like Battle of the Bands but with cricket. Having looked at the pedigree (and age) of some of the people we're up against, our team could definitely use a little firepower (and perhaps some star power) so please spread the word. Rock and roll cricketers VERY MUCH WANTED. Even if that isn't you, why not come down? You'll get a game or have a good time watching.